3rd September 2012. 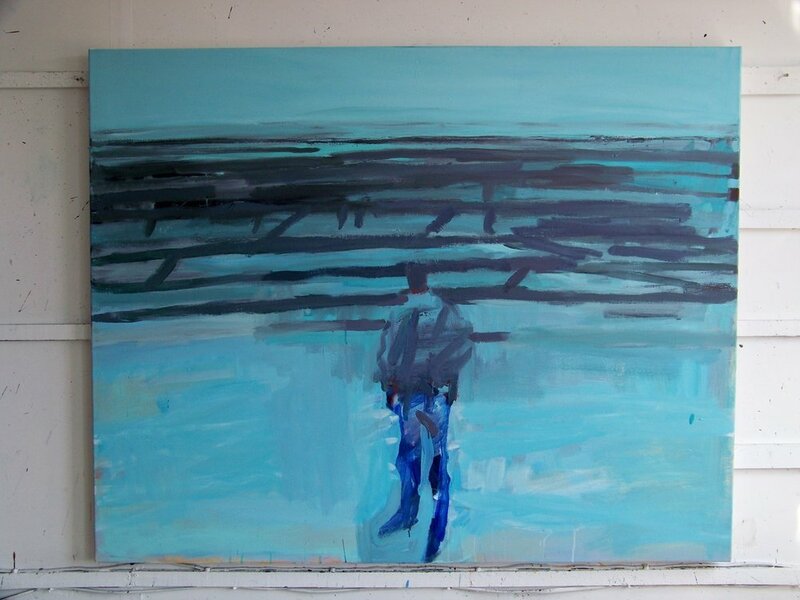 This painting has been in the studio since last year and I keep coming back to it intending to do more. I made the drawing from the painting several months ago. It seemed to work better than the painting so this week I finally felt confident (or reckless) enough to have another go at the painting itself. The earlier state of the painting is on the 2011 gallery page.